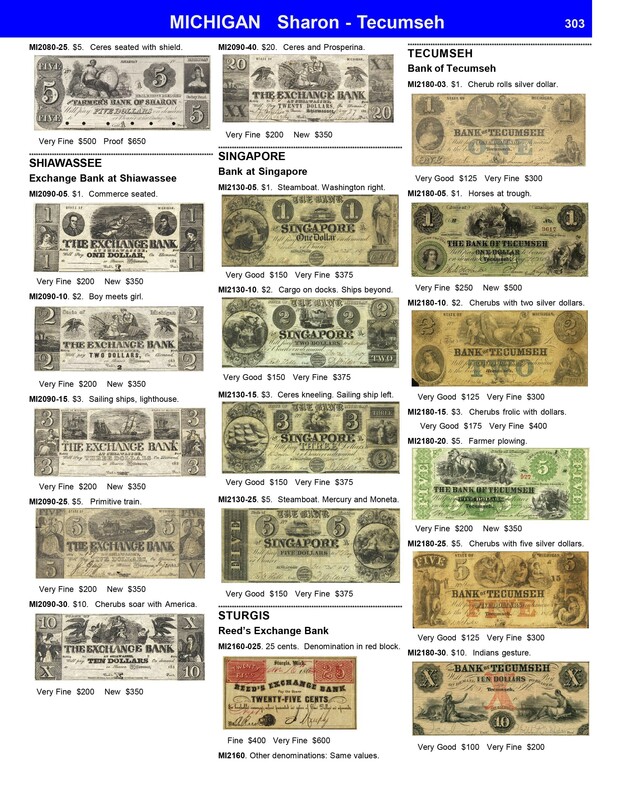 Sample pages from our new book - 624 pages - chock full of pictures and prices. Sample pages below are reduced size. Actual page size is standard 8 1/2 by 11. Publication date: May 22, 2018. 1. 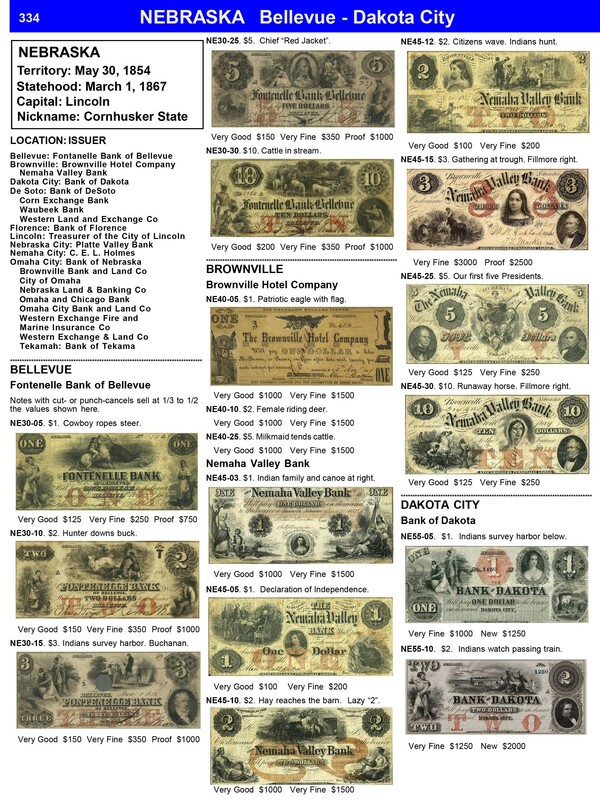 Covers notes issued by banks, states, municipalities and merchants for the entire United States. 2. 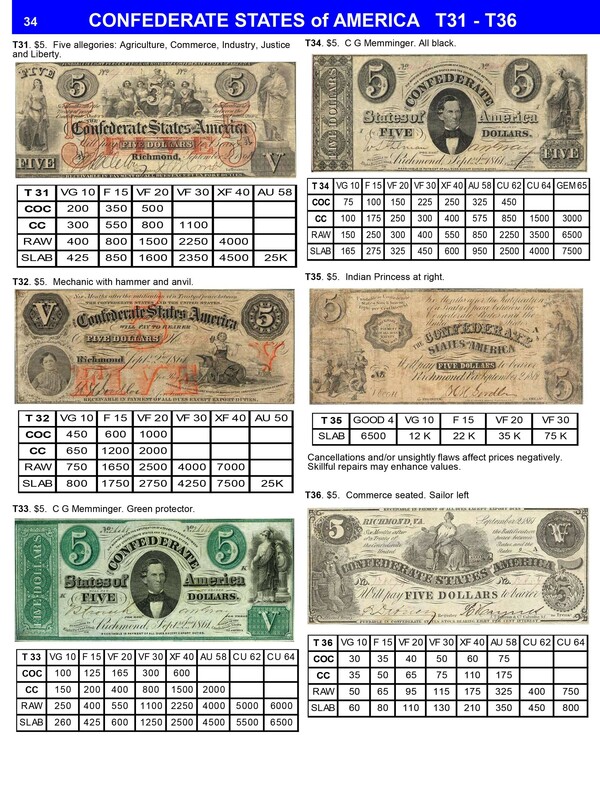 Over 10,000 notes illustrated in color with market values for grades typically encountered. 3. 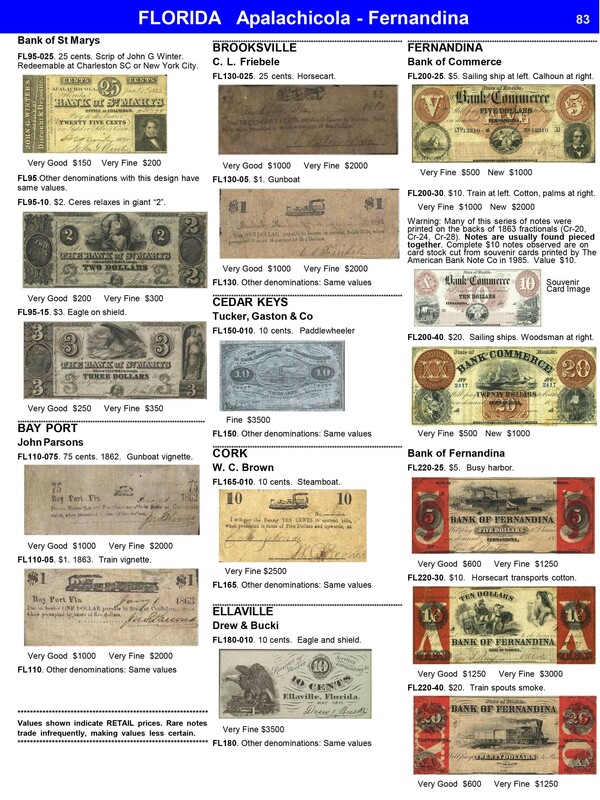 Includes standard issues of the Confederate States of America. 4. Alphabetic by State and Town name - eliminates tedious internet searches. 5. Introductory Tutorial quickly gets you up and running. Available in Perfect Bound (paperback) and Spiral Bound (laminated cover).